Brian Ambrose was raised in San Gabriel, California. He moved to Northern California in 1977 to attend the University of California at Berkeley where he studied Economics and Accounting and received his degree in 1982. In 1983, he married his college sweetheart, Marilyn. Brian and Marilyn reside in Concord, California with their two boys, Michael and Kevin. Brian is a Certified Public Accountant (CPA) and a Certified Financial Planner (CFP®). He has been in practice for over 25 years and works exclusively with people who are approaching or in retirement. In the 90’s, Brian developed the Self Applied Financial Education (S*A*F*E) workshop for employees approaching retirement. He conducted these workshops for Bay Area corporations such as Nestle, PG&E, Homestake Mining and Hills Brothers Coffee. In addition, he has been a regular columnist in the Contra Costa Times. In 2003, Brian moved his practice into the offices of what is now the Principal Financial Group. He is an Investment Advisor Representative (IAR) and insurance licensed to provide a full range of financial services to his clients. 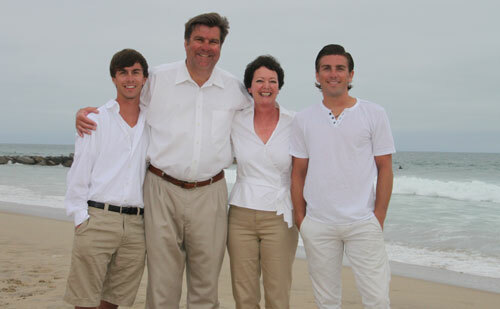 For the past three years (2011-2013), Brian has been recognized as a San Francisco East Bay Five Star Wealth Manager. Five Star Wealth Managers is a select group representing less than 3 percent of licensed wealth managers in the area. Brian believes that each investor is unique and no single investment strategy is right for everyone. He believes it is essential to have every available investment and estate-planning tool at his disposal in order to benefit his clients. His goal is to take the mystery out of investing, managing risk, preparing for retirement, and preserving your wealth. By helping you acquire the information you need to pursue your financial objectives, Brian hopes to establish a long and trusted relationship with you. You can reach Brian directly by calling 925.906.4615 or emailing him at [email protected]. Laura was born and raised in Modesto, California. She has three children and nine grandchildren. She has a son that serves in the U.S. Navy, a daughter that teaches kindergarten and a daughter who is an RDA. She enjoys spending time with her family, cooking, reading, crafts and traveling. Laura moved to the Bay Area in 2000, and has been in the financial services industry for 16 years. She has spent the last 7 years working with Brian Ambrose. Laura has a California Insurance License (#0B92521). You can reach Laura directly by calling 925.906.4607. Dedee was born in Guam, and she has seven brothers and sisters. She and her family moved to California in 1985 when her father retired. She is a very proud parent of 3 daughters Nina, Alexis, Alana, and her new grandson Raul. Dedee has a California Insurance License (#0G65093). You can reach Dedee directly by calling 925.906.4609 or emailing her at [email protected].